On May 19, Patricia Vidrio received bad news: her mother had died in the family’s hometown in Mexico’s Jalisco state. 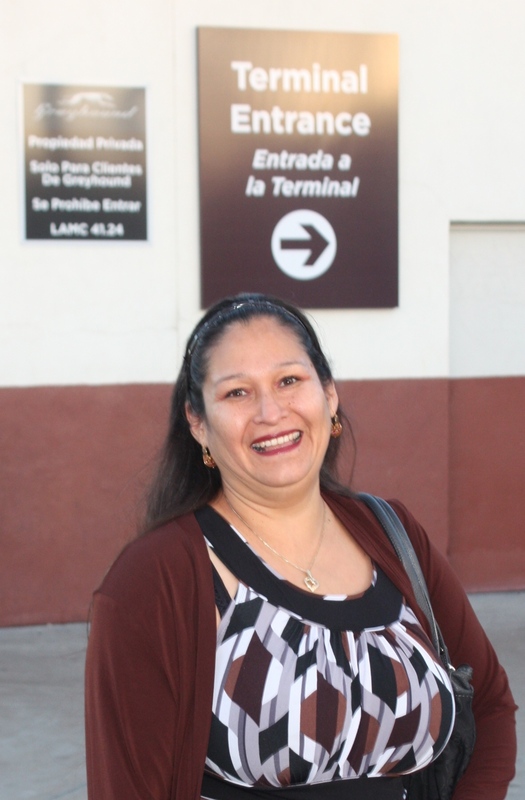 Vidrio, who has worked in the L.A. Greyhound terminal since 1994, was given leave to attend her mother’s funeral, but was told when she returned on June 1 that she had been terminated. Drivers and mechanics at Southeastern Stages rang in New Year’s Day with a new contract that bucks a 30-year trend in labor relations. At a time when many new employees are forced to work alongside seasoned veterans at half their pay and no benefits, Local 1700 members stood their ground until Stages agreed in December to do away with its 2-tier pay system. ATU Local 1700 and Greyhound met in January to negotiate the third supplement to the Greyhound contract for Bolt Bus drivers. The main issues at the table are the same as they have been since Day One: bringing the Bolt drivers up to the same standards as Greyhound drivers. ATU Local 1700 remains in belt-tightening mode, but this report by Financial Secretary-Treasurer Sesil Rubain makes clear that the new Executive Board is prepared to shoulder whatever expense is necessary to defend our members. Local 1700 offers our sincere condolences to the families and friends of the following members who have passed away in 2013. The Local 1700 Women’s Caucus has continued to grow since its April founding conference, prompting the ATU International Women’s Caucus to recognize the group – with nearly 30 members in 14 cities – as an official chapter. On Aug. 14, Local 1700 members packed into a van provided by Greyhound and joined 200 carloads of working families for a caravan to Bakersfield, California, organized by the L.A. County Federation of Labor.